Founded in 1751, Manatsuru Shuzo (The Manatsuru Sake Brewery) is one of the oldest sake breweries in Echizen Ōno. 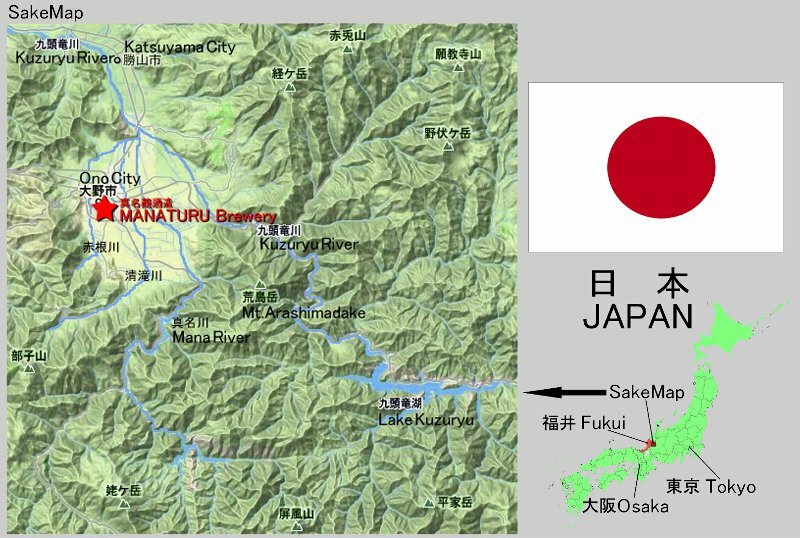 Also known as “Little Kyoto” in Hokuriku region, west-central Japan, Echizen Ōno is located at the upper reaches of the Kuzuryu River, surrounded by mountains reaching over 3,000 feet high. The verdant valley and its fertile soil produces the finest “Gohyakumangoku” rice with its crystal clear waters acclaimed as one of the best waters in Japan. The intense cold coupled with the deep snow in the winter provides the perfect environment for sake brewery as though it were ordained so by the heavenly gods. Upholding the traditional handmade brewing techniques, our small brewery, specialized in producing luxury Ginjo-shu, prides itself as the brewer that goes beyond the traditions and pursues new experience that only the finest sake provides. Studied fermentation, brewing and microbiology at the Tokyo University of Agriculture and the National Research Institute of Brewing, Japan. Took the helm of the brewery in 1997 and became the head brewer in the autumn of 1998. The first Ginjo-shu that he made as the head brewer won the highest score at the prefectural sake contest, winning a streak of golden awards at other sake fairs and contests including the coveted National New Sake Awards. It's took a 90-points on his first sake evaluation. at the St,Regis Maldivis Vommuli Resort that Starwood Hotels and Resorts boasts to the world. The elegant fragrance quietly fades into gentle aromas that leisurely unfurl into your entire mouth. It caresses your palate softly and smoothly, leaving behind nothing but exquisite “umami” and the moment of pleasure. The crisp, fruit flavors that run through the pure snowmelt find a subtle balance with the sake’s full and clear presence in the mouth. The finish is clean and instant, vanishing like the cool, fast flowing water of a fresh stream. Its gentle aroma and rich taste is nurtured by the unspoiled nature of Echizen Ōno. The refreshing flavors enriched by fine acidity enhance the sake’s delicate presence and creamy texture as it caresses your palate and throat. The lush fruity aroma brings with it the exquisite taste that flows through your palate like a refreshing stream of Oku-Echizen. The crisp finish is accented by its tart acidity and pleasant bitterness. This refreshing and exciting flavor has just right mixture of clear, elegant sweetness and citric acidity. The sake is suave and exhilarating, reminiscent of the dulcet tones of raindrops. We have the Manatsuru Brewery’s Dai-ginjo matured in a sherry barrel that was used in Spain for more than fifteen years. The golden color of white wine shines as it caresses your palette with soft acidity and vanilla scent, unfurling rich sweetness like brown sugar, leaving behind the flamboyant flavors. Exotic and attractive, this is what happens when two cultures meet in the brewery.